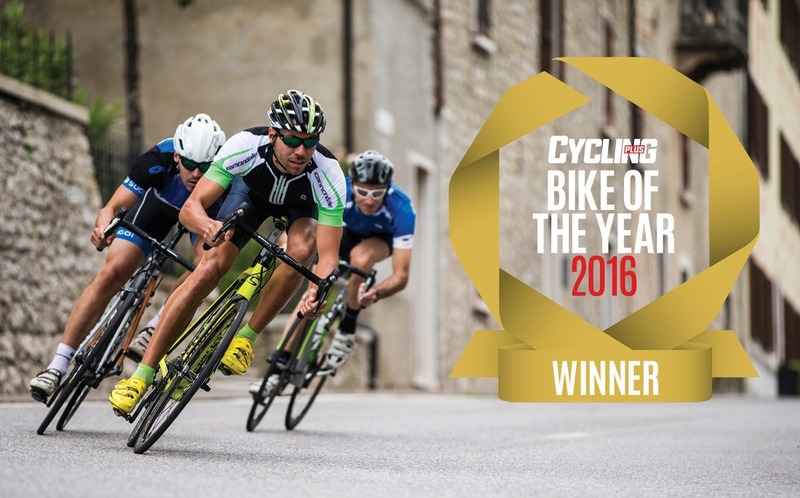 Cycling Plus have just awarded the Cannondale CAAD12 as their Bike Of The Year and we have to say we can’t agree with them more; a great bike with excellent handling and a great price point. “In recent years aluminium has made a bit of a comeback, with BMC, Specialized, Trek, Canyon and Rose among those developing lightweight alloy bikes. Cannondale had the very successful CAAD10 in its lineup, and now the promise of its best ever lies with the new CAAD12 – which has scooped our sister title Cycling Plus's coveted Bike of the Year 2016 award. We think aluminium never quite got a fair crack at the top. Just as bikes were getting lighter, and stiff enough for pro riders to race on, they were swept away by carbon. In aluminium alloy's turn-of-the-millennium heyday Cannondale was the biggest innovator with bikes such as the R4000 (CAAD4) on which Italian sprint king Mario Cipollini, after winning a stage of the 1999 Tour, declared to the cameras, "Cannondale makes the best bikes!" With the new CAAD12, Cannondale seems to be throwing down the gauntlet to the competition in high-grade alloy. 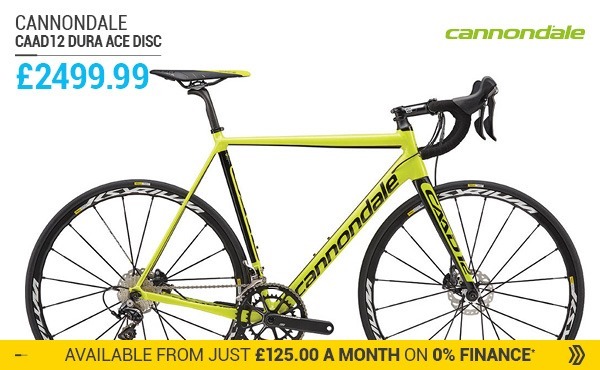 The numbers are compelling: the frame weighs just 1098g, which is 52g lighter than the CAAD10, while the fork – based on Cannondale's new EVO design – weighs a mere 300g. More expensive CAAD12 models get the HM fork, a scarily light 280g. The CAAD12 features the 25.4mm diameter seatpost that Cannondale pioneered on the Synapse, and more recently the new EVO. The new Si crankset is also a Cannondale design. The 12 did not disappoint. In fact, we found it even more impressive on rough roads than we expected. The new frame has all the rock-solid stiffness that we expect of good quality alloy, but it's combined with the ability to float above the noise and vibration that bad British tarmac offers. The slender carbon fork eats up buzz yet tracks with the same directness that impressed us so much with the new EVO. More impressive still is the back end. The compliance coming from the combination of the slender seat-tube and slimline seat stays is jaw dropping, to the point that after a few hours in the saddle we had to keep reminding ourselves that this bike was not only aluminium, but also a modestly specced model with an alloy – rather than carbon – seatpost. On the flat the CAAD12 translates every ounce of your pedal stroke into speed and acceleration, and when the road starts to rise it simply flows with your input. If you want to push on and attack, crest a rise and start to descend the CAAD12 is your ideal wingman. It holds its line brilliantly and feels both planted yet nimble reacting to mid-corner corrections. We'd go so far as to say it's one of the most impressive-handling bikes we've tested this year, irrespective of price. 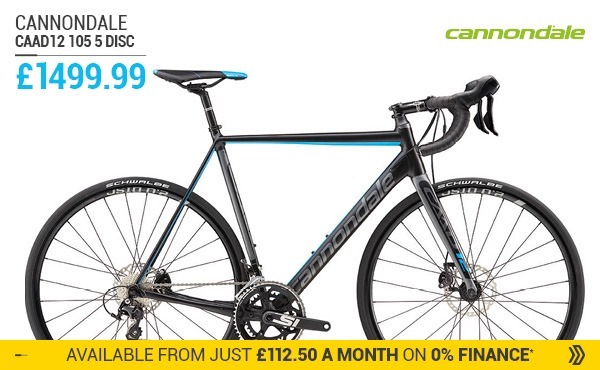 We think that Cannondale's canny designers and engineers deserve a round of applause for giving us proof that aluminium is far from finished in the world of high-performance road bikes, and even now is a discerning choice for those who prefer to keep their costs low and their cycling speeds high. 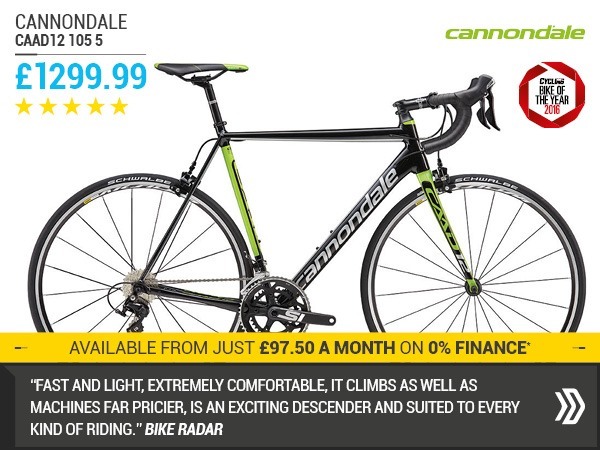 You can read the full review about the Cannondale CAAD12 by Cycling Plus on BikeRadar’s website.